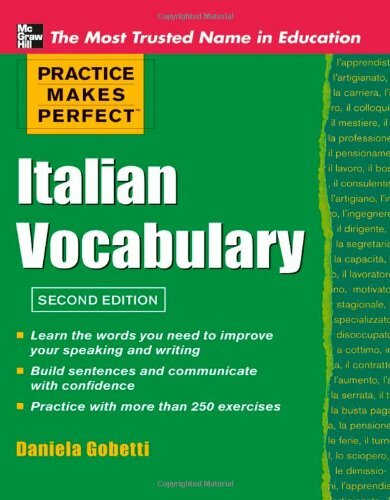 new chapter on contemporary vocabulary An answer key to gauge your comprehension With help from this book, you can easily speak or write in Italian about: Different occupations and jobs * Italian holidays and traditions * Taking the train * Growing your own garden * Where it hurts on your body * Your house * Your family and friends * What you studied in school * Your favorite TV show * Your family's background . . . and much more!